How long will my HiHi installation take? The full installation can take up to 3 months, this enables us time to install any new services (such as Broadbands), take over your numbers and port them to the cloud to enable them to ring through to your new system. What will happen when my telephone number transfers from my previous provider, to 4Com? You should not notice your telephone number transferring from your previous provider, to 4Com. It should be a seamless transfer from one provider to another. In the unlikely event that an issue may arise, our team are on hand on the day to ensure it is resolved as a matter of priority. What will I need to do when my Broadband service transfers to 4Com? Your Customer Project Partner will let you know when you can expect your Broadband service transfer to 4Com. You will also receive your new connection details beforehand. On the day of migration, your Broadband service may momentarily drop – if this happens you just need to connect the new 4Com router. This will be like for like, in place of your old router. If you reboot your devices, this should register the changeover. Will my new phones start ringing when my line transfers to 4Com? 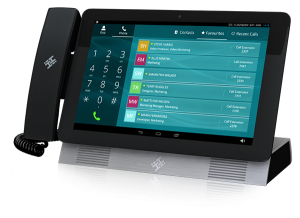 Your new HiHi handsets will only start ringing once you have had your numbers ported to the cloud. This happens at the final stage of installation, when the 4Com engineer has been back for the final visit or the final configuration has been done remotely. What is a port and when will mine happen? The port is the last step to completing your HiHi installation. Porting your numbers, is switching them over to the 4Com Cloud. When your numbers transfer to the cloud, they will become virtual and it will enable you to begin fully using your new HiHi system. It can take up to 3- 6 weeks for the port date to be accepted. We have had the first stage of our HiHi installation, and our new handsets are alongside our existing system. Will we get more training on how to use the handsets? 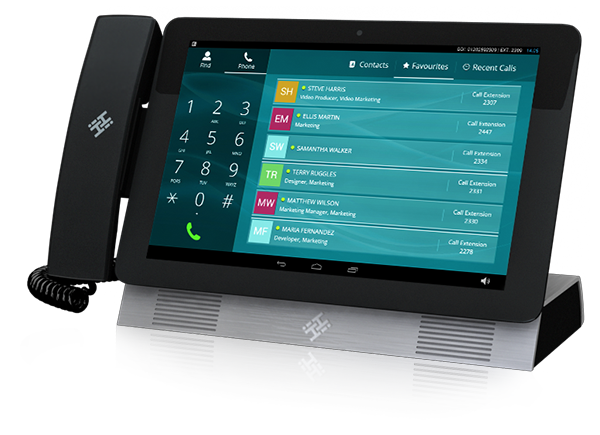 A 4Com engineer will be back to site to complete the installation, and fully install your new handsets. On this third and final stage, the 4Com engineer will provide full training on your new system. Why are we being charged for lines that have transferred to 4Com? As services transfer to 4Com, 4Com will begin to charge you for these services. You should not be billed twice for the same service, as your previous provider should update their records to note your service has transferred away and stop billing in line with when we will start. My installation is completed, but why am I still being billed by my previous provider? You should not be billed twice for the same service as your previous provider should update their records to note your service has transferred away. If you are still being charged for a service taken over by 4Com, it could be that your previous provider hasn’t updated their account details. We advise contacting them to update your details, and request they provide you with a refund for any charges taken after 4Com transferred over the service. I am a new customer; do I need to cancel my services with my previous provider? You do not need to contact your previous provider to cancel any services during the installation, unless 4Com advise you to do so. You will receive an email at the end of the installation, when your numbers have switched over to the cloud. At this stage, we will advise you to contact your previous provider to cancel any services remaining that you no longer require. Can we use the HiHi handsets on wireless? We do not advise enabling Wifi on the handsets, however if you feel this is necessary please contact our technical team via our website http://hihi.co.uk/support/ and they will be able to assist. What is a Voice Broadband? A Voice Broadband line is a dedicated broadband service that we use for the HiHi phones. This enables the phones to use a separate Internet connection, to that of your PC’s on your Data Broadband which ensures optimum call quality and prevents and contention with your data usage. Why do I need a new Data Broadband service installed, when I already have one that I would like to be taken over? We often need to install a new Data Broadband service to replace one which may be sharing the line with your phone number. If you need the telephone phone number to ring through the new system, we will need to port this to the cloud – where it will become Virtual. A Virtual service cannot hold a Physical Broadband, so we will install a New Data Broadband service to replace the service that will be dropped when we port your telephone number.